I think we all have magic places in our lives – locations that seem to resonate and bring strength. Places where you can push your fingers down in the dirt and feel nourishment flow into your body. As you drive from Sterling to Anchorage you pass Hideout Hill on your right as you first enter the mountains. It’s called a hill because it’s only 2726 feet high, but when I first noticed it in 1965 it sure looked like a mountain to me. You could barely see it from my attic loft window, but it figured prominently in all my adolescent fantasies: It was the redoubt from which my doughty band of freedom fighters fought the Russian invaders, the site of the castle from which I ventured out to fight dragons and was my Fortress of Solitude to which I would retire after fighting crime in Anchorage. I’ve made three climbs, the first time as a Boy Scout in 1968 when we got halfway up the southern side after starting from Hidden Lake. The second trip up was a drizzly day trip in 1981 when I climbed in the company of my brothers-in-law Bobby, Marc and Scott. We started at the highway and just brush-busted our way until we found a very faint trail marked by faded bits of engineer tape. Finding the bits of tape became a game: we spread out and moved the brush in the general direction of the hill, keeping an eye out for animals and keeping an ear cocked for the cry “Red Flag!” which meant one of the other guys had found the next trail marker. As we got closer to the hill the markers became closer and easier to spot one from another, so we were able to pick up the pace and get up the hill. We stopped at the small lake, made a fire and heated up some soup, then moved on up to the summit where we rewarded with one of the most breath-taking sights I’ve ever seen. As we sat comfortably on the thick moss ground cover we could see and point out locations over a good part of the Peninsula. There was a tangible reward of sorts as well; while sitting on the summit I looked down and found a C-ration can embedded in the moss. I showed it to my Dad when we got home and thought it came from rations that had been dropped to survivors of a plane wreck that happened in that area in the late 50s/early 60s. The third time was the charm. It was July of 1982 – SSG Bradley and I were both able to score a 48hr pass which in conjunction with a weekend would give us time to take our wives up the hill for a short camping trip. Unlike the climb in drizzly weather the year before we would be making the trek in sunny weather, which meant a light pack – I could leave behind all my raingear other than a pair of gaiters that I invariably wore when walking through the invariably wet Alaskan brush. I carefully stayed out of Jim’s reach and tried to give moral support – I knew better than to try to physically help him. At length he made the crest of the trail and after a short rest we all moved down by the small lake, pitched camp and explored the area. After his laborious climb Jim had no desire to hike all the way to the summit, but the enclosed vale around the lake offered plenty of places to explore and play. I even tried some rock climbing but upon closer inspection it was obvious there had been repeated freeze/thaw in the cliff face making the rock “rotten” and prone to a sudden break. Our next adventure was going to be on level ground. The gaiters I’d been wearing on my lower legs were the magical source of my energy. I could hardly sleep that night – I didn’t want to miss a single minute of our stay there. I would creep quietly out of the tent and look north and track the path of the sun on the other side of the globe by the slight point of light that escapes over the northern horizon as the earth rotates. I drank in the wind as it casually caressed my cheeks and felt my heart swell as I looked down at the sleeping forms of my dear wife and my good friends. I was up at sunrise and boiling water for breakfast when everyone else finally awoke. We explored around the lake some more, throwing scraps to the loons that swam there and searching for the point at which the lake made its way over a small waterfall and down the north side of the hill …but eventually it was time to leave. Descending the hill was much easier though we did have one scare: Midway through the willows growing close to the more vertical part of the trail we were alarmed by vigorous rustling just below us. As we were in prime bear country both Jim and I drew our side-arms, but just before firing we heard a voice call out: “Humans! Humans on the trail” and shortly passed a party of three young men climbing up for a day-trip just as I had the year before. All too soon we were off the trail and at the pick-up point and from there back to FT Richardson. We didn’t know it at the time but that was the last adventure we would have together in Alaska as Jim was transferred to FT Hood TX shortly afterwards. I’ve never been able to get back up there myself either; when we lived in Sterling from 1987 to 1989 it seemed like I was always caught up with either my work, being a Dad, work with Scouts or drilling with the Reserves. I struck out on both our 1997 and 1999 visits home mostly due to transportation and our trip back for my dad’s funeral was in winter-time. 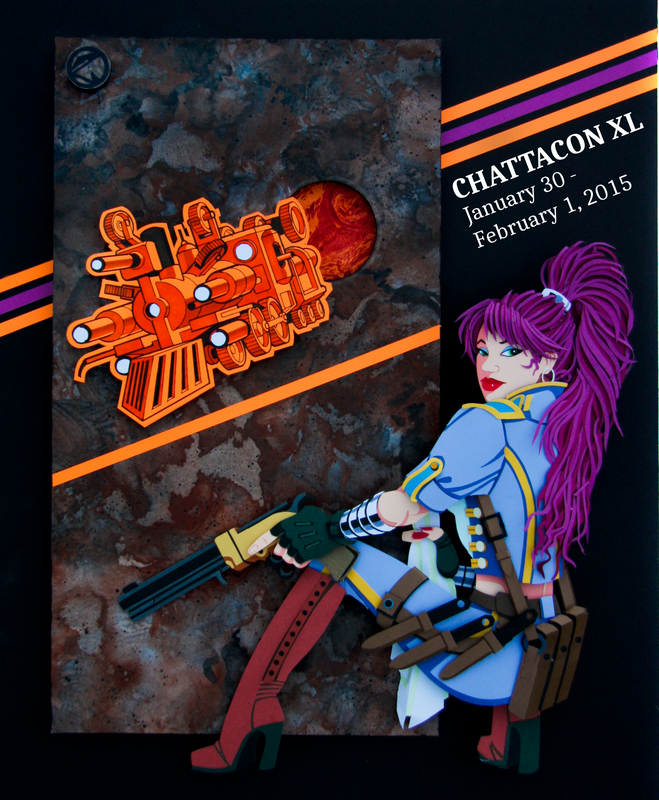 …and now I am too old and broken, but I still visit Hideout Hill. Some nights when the pain in my back keeps me from sleeping I think about being there. I can smell the spruce along the lower trail and feel the mischievous cool breeze teasing my face. I can look out from the peak and see my Peninsula home with a view only the angels share and track the path of the sun along the northern horizon. …and then I can sleep. It’s not always easy to make friends while serving as a lieutenant in the Army. With as few as a dozen officers in a battalion – and half of them higher-ranking your pool of available buddies is small. It can also be tough finding others with similar outside interests – common occupation doesn’t always mean common avocation, so once in awhile you make friends across the officer/enlisted gap. Most of time it’s not a good situation to be in – as an officer it is important to avoid the fraternization trap and retain that commitment edge necessary to good leadership. SSG James Bradley and I managed to avoid those pitfalls. For starters we were in different units and didn’t normally work together during the day. When we did interact was “Lieutenant Deitrick” and “Sergeant Bradley” and everything was conducted according to regulation. Off-duty it was “Dave” and “Jim”. Jim and his wife Jane attended church at the same congregation but in addition to our common faith we shared interest in speculative fiction, military history, computers and Monty Python – but the best overlap in interests was our collective love for the outdoors. At least one Saturday a month was spent climbing, biking, hiking or rafting over whatever parcel of Alaskan forest we could reach. Most of the time our activities were moderately adventurous but once in a while we’d end up in a situation almost beyond our abilities. Such was the case when we decided to raft down Moose Creek, a tributary of the Matanuska River not quite ten smiles upstream from the town of Palmer. Lively discussion was the norm for any time spent with Jim and Jane and this trip was no exception. Most of the talk revolved around the evolution of outdoors etiquette – the way people acted and interacted on hiking trails or campgrounds. We all agreed that there had been a change for the worse in the previous five years and I saw that where once I felt I could count on the kindness of strangers in the wild I now had to constantly stay on guard against the chance that unknown person might try to kill me and ravage my wife into the bargain. Similar sentiments were voiced but discussion broke off as we reached the turn-off to Moose Creek. After parking and unloading our raft and supplies Jim and I spent several moments studying a map of the area. It showed a fork in the creek just downstream from our position and as I read that note I remembered that one of the two forks was much more suited for rafting than the other, so we flipped a coin and chose the east fork. As the first deadfall loomed across the creek minutes later we realized we’d chosen the wrong fork. We all ducked down into the raft as it barely squeezed under the tree, then repeated the action three more times in rapid succession before the raft was stopped against a fallen tree too large to allow us to get past. We hopped out and shuffled people, supplies and raft around the jam and started out again. The creek made a lazy curve to the right towards the river and seconds later we hit the biggest jam of them all. Several trees of various diameter were jammed together with the flow of water forced through a half-dozen gaps. We hit the log-jam so hard that I saw stars, and when my vision cleared I saw that Jim, Jane and Lori had managed to get to the close-by bank with our supplies. On the other hand, I was semi-stuck on the raft. The contour of jam combined with the tremendous flow of water had the raft turned almost vertical against the logs; I was standing on the front buoyancy cell of the raft, facing the logs with the bottom of the raft at my back. I was spared a dunking by gaps in the log-jam that directed the water away from me, so I was able to climb up out of my little pocket in a mostly dry condition. After tying a safety line to the raft, I stepped over to Jim and the girls for a conference. There was no way we were ever going to get that raft out of the creek – the volume and velocity of the water-flow combined with the Pick-up Stix ® pile of fallen trees comprising the jam made it difficult to grab the raft at any point other than the eyelet when I had tied the safety line. It was the afternoon of a midsummer Alaskan day, so we should have had plenty of light, but clouds had moved in which would end up allowing only limited light to work by that evening. I was beginning to think that the best course of action would be to just leave the raft and forfeit the damage deposit when we heard a loud thrashing in the brush across the river. Three of the scruffiest men I have ever seen pushed their way through the thick willows crowding the opposite bank of the creek. One of them was carrying a chainsaw, two of them were smoking and all three were unshaven and slightly scowling. One of the smokers looked over at me – and as his gaze shifted very pointedly at the holstered pistol on my belt couldn’t help but recall the “kill me/ravage my wife” discussion we’d had in the car earlier. Then the entire situation changed. The expressions on all three of their faces softened and one of them called out “Hey, are you guys OK? We heard some yelling and got worried that someone was hurt” He went on to explain that they were three locals that had gotten permission to look for down/dead timber to cut up for firewood. At that point Jim jumped into the conversation and the five of us worked out a plan for eliminating the deadfall and releasing the raft. Unfortunately, the tremendous pressure of the water had pulled the knot in the safety line so tight that it had literally melted together. We’d already failed at trying to pull the raft back out, so the only solution was to put one person in the raft, cut the rope, and have that occupant guide the raft to the side of the creek as soon as possible. Jim won the coin toss and climbed into the raft with a paddle while I stationed myself at the safety line, knife at the ready. Jim looked over and gave me a thumbs up; I responded with a hearty “Good Luck”, cut the line and the raft shot down the creek like a rocket, with me splashing along the creek bed afterwards. The story ended well enough – Jim and I got the raft beached before he hit the river and the girls showed up carrying our supplies. After leaning the raft up as a windbreak, we had lunch, then spent a few minutes talking and resting before taking the raft back to the car and going home. Our next outdoor adventure was happening on dry land. As a newly minted second lieutenant I assumed that troop leadership would be the least pleasant aspect of my duties, but within weeks of becoming a platoon leader I found out I had been dead wrong – I really enjoyed being a leader, but then I had been prepped for the job, having been a teacher’s aide in high school, a trainer on my mission and an adult Scout leader for years. The only part of leadership that I didn’t enjoy was enforcing rules. Oh, I had no problem leading my guys into difficult situations but I’m not one to crack a whip and rules often seem like punishment to your most capable troops because the restrictions feel like punishment. That’s because rules are made for the lowest functioning people in the group and by setting a limit that keeps them reined in everyone else will be under control as well. Unfortunately there are times when the percentage of “lower functioning personnel” makes up the majority of the organization and when that happens you spend most of your time in basic maintenance of unit cohesion. Complicating the situation was the fact that the army of the late 1970s/early 1980s contained a larger than usual percentage of lower functioning people which were referred to as “cat-fours”, Cat-Four was short-hand for Category IV the term used in the army’s system for evaluating enlistees – they were the least qualified people accepted for enlistment. These were the people who didn’t have a high school diploma, scored low on placement tests, or were on a first-name basis with their home-town law enforcement agencies. While it may be an urban legend that a Cat-Four was once caught reading an M&M, as a group they were often very difficult to lead. Coming out of the post Viet-Nam “hollow Army” era meant that in order to fulfill recruiting goals we were getting a larger percentage of Cat-fours, one of them being a Private Coolidge who was assigned to Fort Richardson (Alaska) in the summer of 1982. I didn’t get off to a good start with Coolidge. I met him at the church one night while dropping off a donation for the scout troop’s summer camp fund raiser. I started causally talking to some of the young men about their progress towards ranks but when I got to one particularly small dark-haired young man all I got was a pained look and a comment that he was solider, was married, and his wife was expecting a child. I made some feeble jokes…then made another equally feeble joke when he dished up the S.O.S. on my tray the next morning. He was one of our battalion cooks. He didn’t mix well with the other troops but he eventually made friends with Specialist Terry. 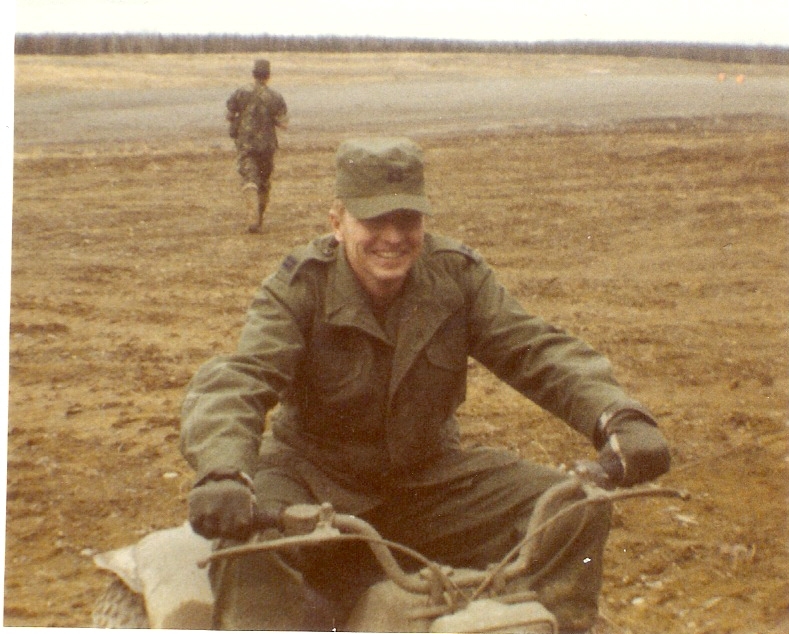 Terry also fell into Category Four but had a couple years of army under his belt – and during those years he had worked hard and earned a position of responsibility with the battalion communications section. I am not sure how it came about but Terry took a liking to Coolidge – called him his “little buddy” and was instrumental in getting both Coolidge and his young wife accustomed to Army life – but in the process almost gave the young cook the scare of his life. That scare came about in late summer of 1982 when the battalion was in the field for a BYX , the initials standing for “back yard exercise” instead of the normal term FTX or field training exercise. Because it was being held on one of FT Richardson’s own training areas, (albeit one of the areas located several miles away from the cantonment area where our homes, the PX and the battalion facilities were located) the BYX saved a lot of training dollars normally spent for various transportation costs. The on-post location also provided for much more reliable communications; instead of contending with static from the Aurora Borealis or real-world jamming from Russian signal units located across the Bering Strait, we could tie into land-lines clear communications between our TOC (tactical operations center) in the field and our regular battalion headquarters. Unfortunately easier communication didn’t automatically make life in general easier as I found out when I received a call from battalion headquarters late one night. On the phone was a near indecipherable Specialist Terry, which given his job was to be expected. What was unexpected was the near-indecipherable nature of his speech. He had grown up the Great Smoky Mountains which had flavored his southern accent with a mountain twang, and just to make things interesting he had grown up with a Scandinavian step father which added yet another measure of incomprehensibility to his Southern/mountain accent. All of that I could deal with – I’d been working with him for six months but what iced the cake was the fact that Terry was extremely distraught. I was totally clueless. As musical instruments seemed a major part of the conversation I wondered if the call had something to do with the highly unauthorized band that our commanding general was dancing around regulations to staff. The post commander had already cherry-picked our battalion for musical talent and in the process had stolen one of our best PAC clerks. At that point the communications platoon sergeant took the phone and between the two of us we got Terry’s message sorted out – and when we did it was like we both had a bucket of cold water dumped over our heads. Specialist Terry had called to tell his good friend Private Coolidge that his wife had just died. “That’s right sir”, he was finally able to verbalize,” She’s gone. Someone from her church called and said she had a tuba pregnancy and she was gone”. Once I caught my breath I told him to calm down, knock back a beer or two and relax, stressing very strongly that he wasn’t to talk to ANYONE about the matter until I gave him the OK the next morning. I then sat down with the operations sergeant and started planning how we were going to handle the situation. Our battalion commander was on TDY visiting our sister battalion in the reserves and I wanted a chance to talk to him before starting the survivor’s assistance process through the Red Cross. Unfortunately I didn’t have much time to figure out my next step as Coolidge was going to be working on the breakfast line and the mess sergeant would be waking up soon. Then in what was either divine inspiration or the effects of my elevated temperature it came to me. I called Lori at home and got the phone number our congregation’s Relief Society president ( Relief Society being the fellowshipping and support organization for LDS women). She was none too happy about being called at 4:00 AM but when I told her the reason for my call her tone immediately mellowed. Oh, she definitely knew that Sister Coolidge “was gone” – but there was nothing fatal about her absence, nor were any tubas, trumpets or trombones involved. Earlier in the year there had been some worry about a tubal pregnancy so when Coolidge’s wife started experiencing some discomfort she went to the emergency room at Elmendorf AFB. Specialist Terry was just being a good friend when he called to check on his “little buddy’s wife – but when the teenage babysitter told him “Mrs. Coolidge was gone” he panicked and hung up before she could add “to the emergency room”. Armed with that knowledge I made a couple of damage control phone calls – and when Coolidge fell in for duty at the chow line he had no clue as to the fright he had just narrowly missed . Both the battalion chain of command, myself, and members of the congregation stepped up efforts to support service members and their spouses during deployment. Specialist Terry was referred to a speech therapist at the same hospital that his little buddy’s wife had “gone” to. Whenever get bad news over the phone I do my best to keep calm and verify the information before wigging out. Service members who fail to complete flight training rarely go on to spectacular careers – at least that was the common wisdom I picked up prior to being assigned to Officer Rotary Wing Aviators Course 44-79 in August of 1979. That “common wisdom” came back to haunt me when I received a medical disqualification the following April. I was passing all the academic courses and could hold my own in the cockpit, but had developed a vision problem during training that could possibly mean trouble during flight during darkness or instrument conditions. I was left hanging for three months before getting a final notice and while I made all sorts of jokes about seeing-eye dogs in the cockpit there was nothing to laugh about when I got the official word that I was not going to be spending a career flying helicopters. I was angry. I was sad. I was depressed. Even though I had no reason to believe so I imagined all sorts of negative comments bandied around behind my back …but as I was juggling all of these emotions about I knew one thing for certain: I was not going to develop a bad attitude like “all those other guys”. If I was going to get back at the Green Machine it wasn’t going to be accomplished through half-a**ed work. I was going to get SO good at my job that it would hurt the Army when I left. It never occurred to me that the Army was so large and monolithic that the departure of one lieutenant would be hardly noticed, but it did keep me fired up to do a good job. I needed the motivation because I was in a hard situation to deal with. I was fortunate to be assigned to a support unit at FT Richardson (AK) located about three hours’ drive from my home-town. Unfortunately it was a difficult time to be in that unit – or in any unit in the Army. We were still grappling with the post-Viet-Nam ”hollow army” syndrome and if the Cold War to suddenly turn hot we were too few expected to do too much with too little to do it with . Resources were so tight that training was handled in the same way Popeye’s sidekick Wimpy would score a dinner appointment: “Come on over for a duck dinner – you bring the duck.” It was so bad that I had to complete a budget control sheet for the two wooden splints used in a first aid class. 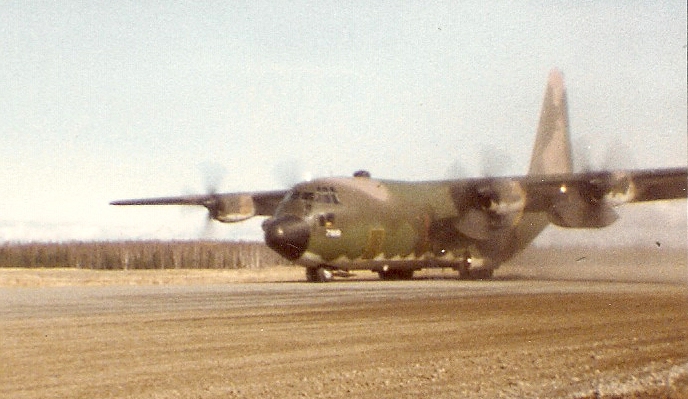 One of the most critical missions our battalion was tasked to provide Airfield Arrival/Departure Control Groups (AA/DCG or“AG/DAG” for short) for any Brigade Alaska units traveling by Air Force military airlift. Co-located with a similar Air Force control unit, an AA/DCG is tasked with gathering, preparing and documenting Army passengers, vehicles and cargo prior to being loaded and transported by the Air Force. In richer times a dedicated AA/DCG unit from the lower 48 would deploy to Alaska to accomplish that mission but as a budget-saving measure an ad hoc “AG-DAG” was organized out of local personnel. It seemed straightforward enough – we had the manuals and most of the equipment but getting people and equipment through the barely controlled chaos of a remote assault air strip was one of the major choke-points in our major field exercises. The previous seven (7) lieutenants had all been relieved for cause on the first day of their particular operation. In each case the relief was extremely unfair as the officers in question had had little or no training and were reduced to running operations with a radio handset in one hand and a field manual in the other, reading up on each phase of operations just as they got to it. I was fortunate beyond all belief my first time out. I was assigned to shadow another lieutenant given another chance at the job. It gave me a chance to learn the ropes and make some mistakes before I was in the driver’s seat. Consequently the first time I ran an airfield on my own I was thoroughly prepared and the whole operation went smoothly –without a hitch. The second airfield I ran went even better and eventually the A/ADCGs were running so smooth that my counterpart at Elemendorf AFB would question the need for coordination meetings if he knew I was in charge of the Army side of things. I had no idea such a job existed before I entered the Army, but I found it to be the best job of all. It was the very essence of logistics with C-130 Hercules aircraft constantly landing, getting unloaded, getting loaded, taking off and circling above. It required leadership and diplomacy at every step/ every level and during the course of the seven AA/DACGs I led I received maximum scores on my Officer Efficiency Reports and was awarded both the U.S. Army Achievement and Commendation medals. …but none of that compared to what was given to me in November of 1982. I was flying into FT Greeley (AK) the dress rehearsal for JRX (Joint Readiness Exercise) BRIM FROST 83, scheduled for the following January and February. I was a passenger in the first “chalk” (the first flight in the airflow) along with Brigade TALO (tactical airlift liaison officer) and best friend CPT Bill Griffin (USAFR) and our respective jeeps and “dog-robbers” (enlisted drivers/radio operators). Severe high winds had caused our aircraft to divert from the assault landing strip at Donnelly Drop zone to the permanent field at FT Greely, which was also plagued with high winds and turbulence but that location was just within allowable parameters. It was stuffy and miserable as the plane bounced around and I felt my stomach start to gurgle and protest. Bill laughed – he’d heard my stomach – then mused on the possibility that the C-130 interior was deliberately designed to be hot, stuffy and “sick-making” as a stimulus for quick exit, be it by parachute at 1000 AGL or by ramp at 5’. The plane alit in what was best described as a “controlled crash” and we made our exit as quickly as possible in hopes of setting up shop in a corner of the terminal lobby and re-directing air-landing operations so the logistical flow would continue uninterrupted. Unfortunately we were so busy we failed to note the approach of LTC McGruder, the brigade S-3/operations officer. So informal. I didn’t know LTC McGruder that well so I had no idea what his leadership style was like. Was he being sarcastic? In near-unison we gulped out “Oh fine/good/OK” in perfect Tim Conway impressions. At that he shook our hands and walked off – which was just as well because neither Bill or I moved for a couple of minutes. When I could finally get my lips to work all I could say was “Wow, just like a movie” to which Bill’s witty riposte was “Yeah, a movie”. He was back within an hour – all smiles and “Hey Dave” and “Sure thing buddy”. He had gone to see LTC McGruder. I never saw LTC McGruder again. Our paths rarely crossed when we were back in garrison and I left the service two months later. I was pleased to see his name pop up in TIME magazine several years later and to find that he was a two-star general in charge of army operations and personnel in the Panama Canal Zone. Given the leadership skills he demonstrated all those years before I wasn’t surprised. I went on to other assignments while serving in both the active and reserve components of both the United States Army AND the United States Navy Reserve. I made it a point to do my best no matter the position I was assigned to or the task I was given – and in the process I earned high efficiency ratings and numerous awards, medals and badges. I confess that wearing the ribbons and badges brought a measure of pride, but I’ve always wished there was some sort of ribbon that accompanied LTC McGruders remarks all those years ago when he so skillfully rolled such excellent leader’s guidance into such unconventional but effective praise. While assigned as a lieutenant at FT Richardson, Alaska in the early 1980s I was part of a very select group. Rangers? No. Delta Force? No. Special Forces? No. I was a soldier in Alaska who was from Alaska. Not as in “second tour” or “army brat”, but a kid that had grown up in the 49th state. It threw everyone for a loop when I was able to go sheep-hunting three months after arriving – with a resident license and when my sergeants would swear and say: “L.T. (slang for lieutenant) – no one is really from Alaska” – but then I’d pull out my wallet and show them my license with the long-hair photo and a fairly low license number (low 50000’s) and they’d finally ease up. Because we had moved from California to Anchorage in the summer of 1962 I was witness to a lot of changes and the soldiers around me were always asking questions about the way things were back then and how they’d changed as the city of Anchorage quadrupled in size during the intervening twenty years. They were particularly interested in the 1964 quake and the fact that my family had lived fairly close to Turnagain when it occurred. I talked about how much the quake shook, ,how we scrambled to find safe places in the house to ride it out, how the topography changed in some areas and how my friends and I tried to sneak downtown to see the damage when school was out for a whole week after the quake. Soon the break was over and we all went back to our offices to continue planning our individual tasks. Two hours later we met again in the common area between the offices to coordinate…and when we did the ground began to shake. It was a perfectly timed earthquake. I stood firm with my legs apart, shoulder width and watched the other men as the quake progressed and started to intensify. Out of the corner of my eye I could see Sergeant Santiago looking at me out of the corner of his eye and I could tell what he was thinking just as clearly as if it was written out in a comic-panel thought bubble. It was evil but I couldn’t help myself. I gave the slightest knee-fake towards the door; much like a wide-receiver would do to deceive a pursuing corner-back. Sergeant Santiago took one look and bolted for the door. (Bear in mind that he was a wiry Puerto Rican infantryman with the gait of a quarter horses).) By the time I got out of the offices and through the front door (less than fifty feet) he was three blocks away and still moving. The sight more than made up for all the bunny jokes earlier that afternoon. 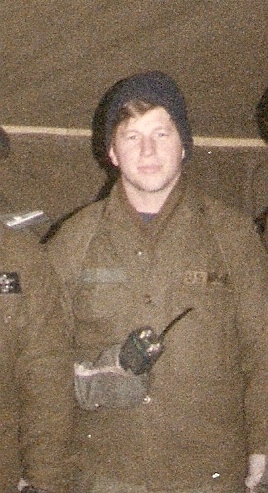 In May of 1982 I was part of a Field Training Exercise at Malamute Drop Zone, Fort Richardson, Alaska. I was responsible for managing the Army end of all airlift coming in or out–the Airedales will fly anything, but the user has to make sure it’s ready to go. Because of that assignment, my small detachment was located a few miles away from the main body of the battalion. Between the length of the initial deployment (I was awake and working for 36+ hours) and the environment (dust combined with wide ranges in temperatures) I came down with a cold… which rapidly turned into pneumonia when I couldn’t get to the aid station right away. It wasn’t until our medic determined that I was running a 103-degree temperature that things started to happen, but I still spent a night in my tent by myself before getting to a doctor. As I said before, I know it was a dream–and I know I have an over-active imagination at times as well… but every time I go through particularly nasty bouts with illness or pain that last for any length of time I can almost see this bundle of spruce sticks over in the corner, eyeing me with malicious glee as he sharpens the skewers, hooks and other implements of his trade.